The Gathering spotlight is on the Sullivan-O’Leary Family originally from Baurgorm, West Cork, Ireland. Baurgorm farmhouse built by Denis Sullivan in 1861, photo taken in 1997. On this page you will find links to information on the history of the Sullivan-O’Leary family and their gathering this summer, as well as some special stories shared with us by descendants Donal Collins and his mother, Dympna. For a brief introduction to the Sullivan Gathering, click here. The Sullivan Gathering will be held June 15, 2013 at the Westlodge Hotel in Bantry, West Cork…to see the official Gathering Listing click here. Click here to read about the Sullivan-O’Leary Gathering in the February issue of Irish Lives Remembered Genealogy Magazine (page 24). In the 1890s five Sullivan siblings – Patrick, Denis, Timothy, Helena, and Katie – left Baurgorm in West Cork and sailed for America. 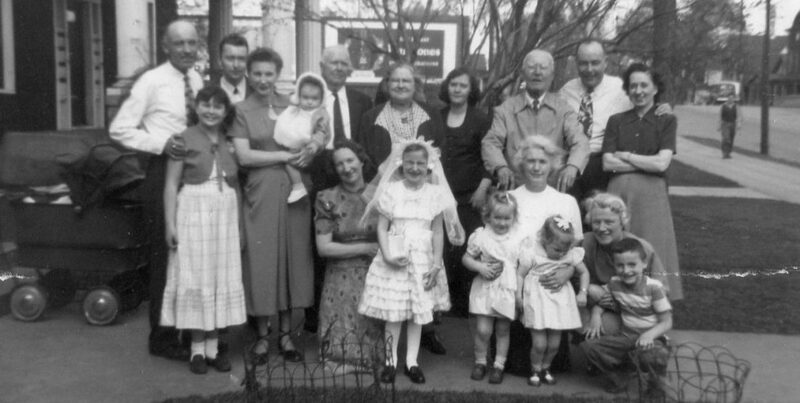 They settled in Manchester, New Hampshire, joining a grand-uncle named Florence O’Leary. Florence had emigrated to Manchester some years before. 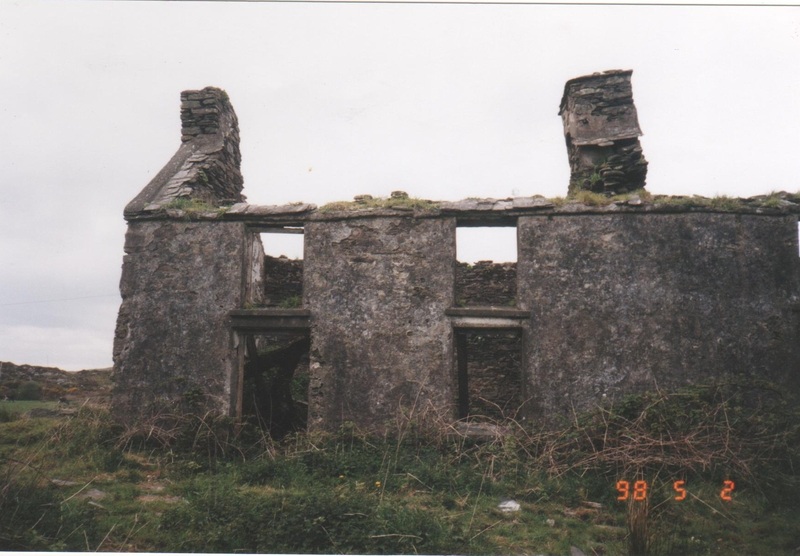 Of the five siblings, four would stay in the United States, but one would return to West Cork. 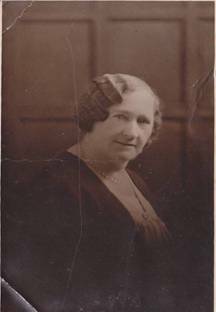 Read Katie’s story, as told by her grandniece, Dympna Collins, here. Dympna wrote a great account of the journey of Katie’s cast iron bed – click here. 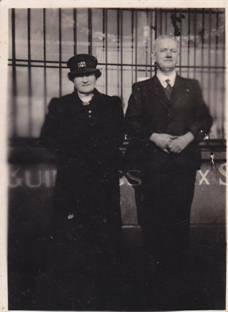 Dympna inherited the Anchor Bar in Cobh from Katie and her husband Peter Spillane, and has operated it since 1953. The strong connections Dympna and Donal feel today to their past and to their family scattered throughout the world can be traced to Katie. Because she returned to Ireland, leaving her only sister and her younger brothers in America, Katie personally knew both sides of the emigrant experience. She never forgot her siblings and their families far away in the USA. Although Dympna did not forget either, it is easy to lose touch with overseas relations. An interesting turn of events brought Dympna and Donal back in touch with a cousin from the O’Leary side of the family, Frank McGillan. Read the story here. Now, what about that ruined farmhouse pictured above? 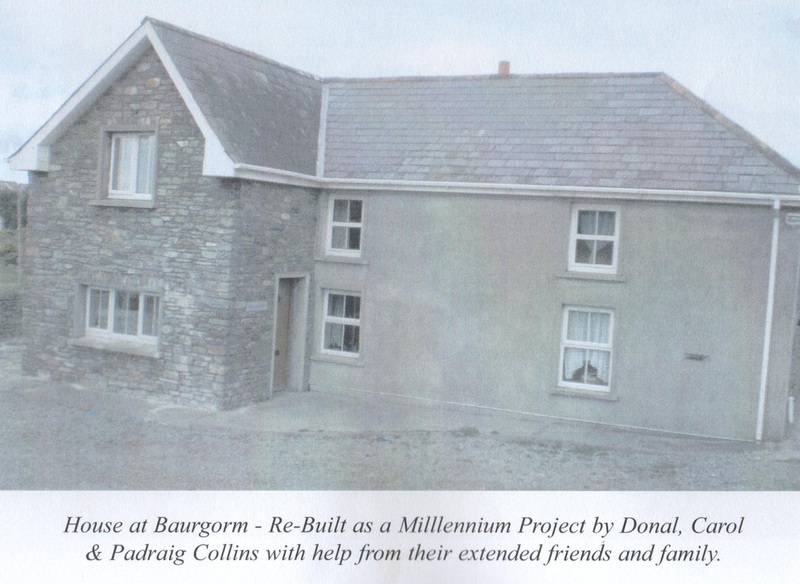 Donal embarked on a renovation project in 1997. The finished product was revealed in 2000. Read the details of the process in the February issue of Irish Lives Remembered (page 24) – click here. Please contact me for more information on the Sullivan-O’Leary family. Do you think you are one of them? My name is Mary Josephine O’Leary Levesque. I am the daughter of John Francis O’Leary (now deceased) who was from Manchester New Hampshire in the United States. I am an only child. My father, John Francis O’Leary had a sister, Mary Frances O’Leary who died of an appendicitis attack when she was a child of maybe ten or twelve. My father then became the only O’Leary child. He attended St. Anselm’s College in New Hampshire, and when WWII broke out with Pearl Harbor, he joined the U.S. Army. He was stationed in Mississippi during the war, met my mother in Mississippi, married and remained in Mississippi for the rest of his life working as a teacher and principal with the Jackson, Mississippi public school system. He passed away at age 51 when I was in college. I only met my grandfather Tommy O’Leary once when I was nine years old. He passed away in Manchester, NH in the summer of 1967 and is buried at St. Joseph Catholic cemetary with my grandmother who passed away near the end of WWII. Since I am the last living O’Leary from my particular strand of the family, I have been searching online to see if I can locate any other O’Learys who came from Manchester, NH. I am particularly interested to know if my grandfather’s twin brother (sorry I do not have a name) also lived in Manchester. Because my own father had a somewhat distant relationship with his father, the O’Leary side of my heritage is areal mystery to me. I would like to find out a bit more and try to at least share some tiny bits of information or photos with any other relatives. Your site is the first time I have ever found the name Florence O’Leary in any of my searches. I would bet the world that I am somehow related to his family tree. Wow! Hi, Mary Jo. Sorry I can’t help with your Dad’s history. But, how about some of your own? If you attended St. Mary’s school in Jackson, MS, and if your mom taught at Clinton High, then you and I were elementary school friends. I’d love to reconnect.